What’s the best way to get rid of fat in Cleveland? 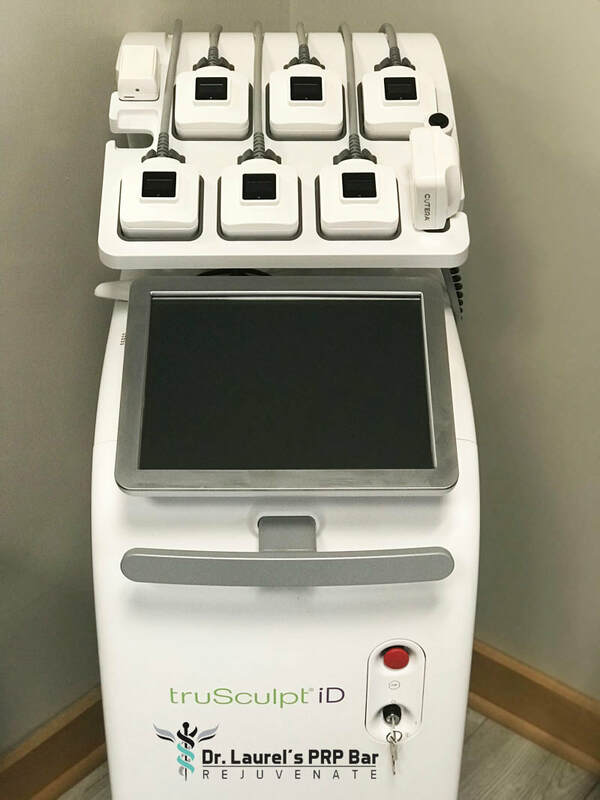 TruSculpt iD provides an innovative RF technology that delivers clinically proven results in as little as one 15-minute treatment in Cleveland, Ohio. The reality is some stubborn fat just won’t disappear—no matter how much we diet and exercise. And for years we’ve been told the only way to permanently get rid of this troublesome problem is by way of liposuction, and, more recently, CoolSculpting and Kybella. But an updated technology called TruSculpt iD bu Cutera changes everything, and it’s available now. Unlike CoolSculpting, Kybella and surgery, with TruSculpt iD there is no pain. There is no downtime, and almost everyone is a candidate. It feels a lot like a hot stone massage. Patients may experience minimal sensitivity that typically disappears by the next day. With TruSculpt iD, fat is heated and then immediately begins to dissolve with full results evident in about 12 weeks. You can expect to lose 24 percent of your fat in the treated area. An added benefit of TruSculpt iD is that it also tightens and smoothes skin, something neither CoolSculpting, Kybella or liposuction can promise. Once fat is removed with TruSculpt iD, no additional procedure to tighten skin is required. That’s not the case with other methods. TruSculpt iD is perfect for the abdomen, inner and outer thighs, back, under the chin and anyplace on the body you want to see a dramatic fat reduction. And, the procedure can be repeated at any time. Unlike the CoolSculpting method, with TruSculpt iD a larger area can be treated in one visit. For dissolving fat beneath the chin, which requires two visits, TruSculpt iD is also the method of choice. Kybella can be painful. This method isn’t painful at all and the skin beneath the chin is tightened. There is no special after-care protocol to follow and you can resume normal activities immediately following treatment. There is no recovery time and there are no compression garments to wear. This non-surgical fat loss option is a game-changer. It utilizes the power of radio frequency to dissolve fat and contour the body, and everyone is going to want to do it. Because my practice is kept intentionally intimate, I administer all treatments myself in the comfort of my private office. Schedule your complimentary consultation in Beachwood, Ohio by calling 216-245-6682! 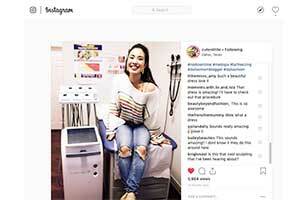 ​Social media influencers are raving about the results they get with truSculpt iD! TruSculpt iD provides an innovative RF ( Radio Frequency) technology that delivers clinically proven results. TruSculpt iD delivers heat to the entire fat layer while maintaining a comfortable skin temperature maintaining patient comfort. 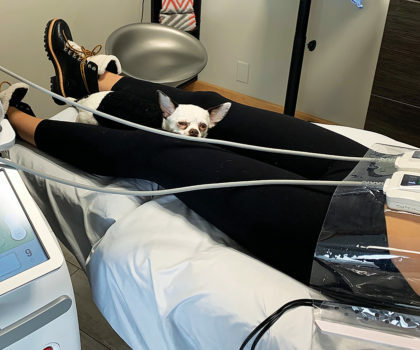 The system's versatility allows for customized treatments to multiple body areas simultaneously based on patient's need' in as little as one 15-minute treatment! 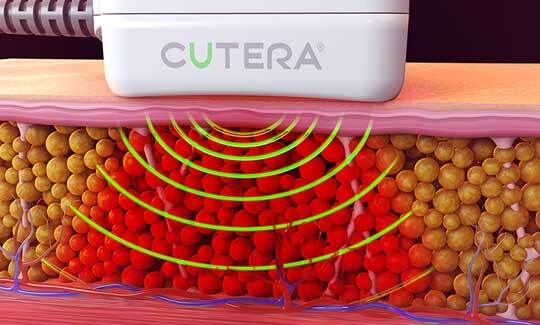 Cutera’s proprietary, low frequency and uniform delivery technology, penetrates deep to treat the entire fat layer from skin to muscle. As a Cleveland area leader in aesthetic medicine, Dr. Laurel Matthews, a board-certified physician with over 33 years of experience and the owner of Dr. Laurel’s PRP Bar, is constantly searching for new and better ways to deliver results to her patients. 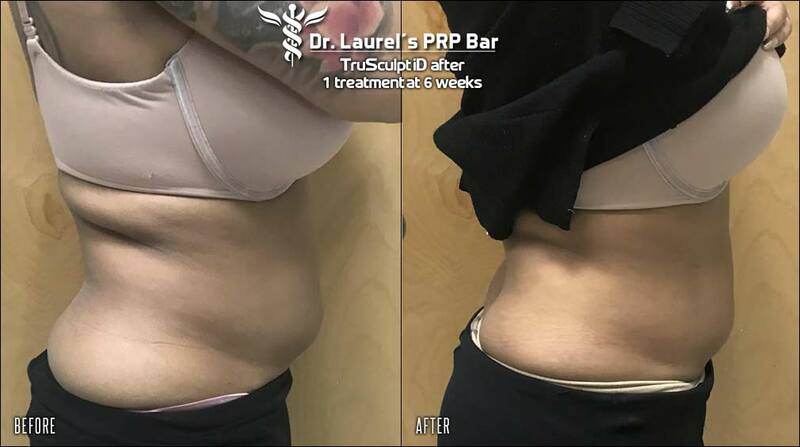 That’s why Dr. Laurel is thrilled to announce the addition of the remarkable TruSculpt iD to her practice, which joins her current TruSculpt 3D method of permanently eliminating stubborn fat. As her practice has grown, she’s added radio frequency-based procedures like TruSculpt to her service list, which also includes the remarkable Vivace RF. 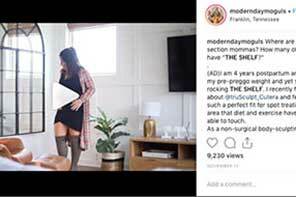 TruSculpt 3D, a revolutionary method of fat elimination and skin tightening for stubborn fat on the tummy, thighs, back, under the chin, on the arms and more, was launched earlier this year to rave reviews. 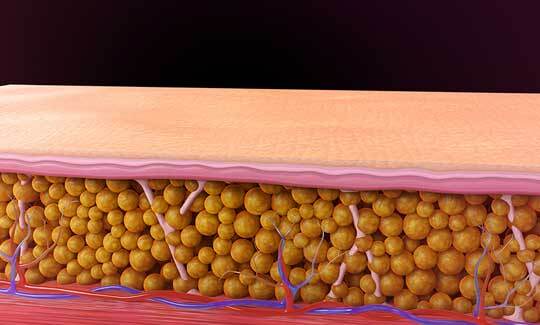 “We’ve already melted away hundreds of pounds of fat,” Dr. Laurel proclaims. But that just wasn’t enough. The time it takes to perform a traditional TruSculpt 3D procedure is about an hour and a half. That’s a big commitment for busy professionals who may only have a few minutes available. 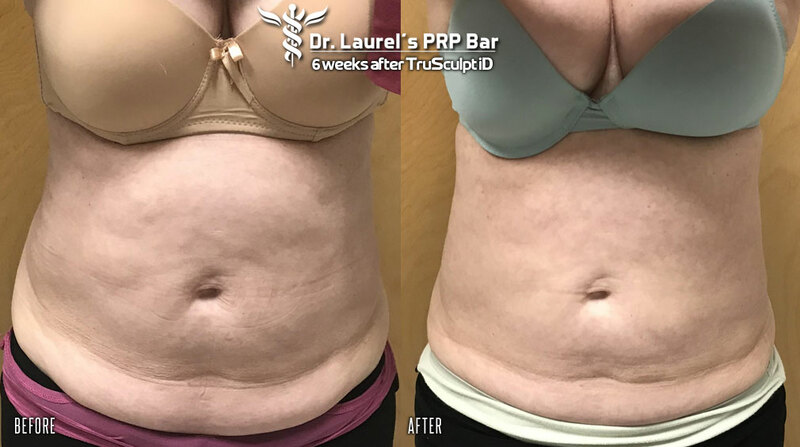 “The up-to-the-minute technology behind TruSculpt iD means we can now treat the entire abdomen, including love handles, in just 15 minutes,” Dr. Laurel explains. The TruSculpt iD, like the 3D, harnesses the power of radio frequency to melt away fat and tighten skin. “The new technology operates at a comfortable temperature and incorporates multiple handpieces, which allows me to treat all of your problem areas at once,” she explains. With both TruSculpt methods, fat is heated and then immediately begins to dissolve. It is then metabolized and eliminated. In fact, you can expect to see a 24 percent permanent reduction in fat at the treated area 12 weeks following your appointment. There is little to no pain, no downtime, and almost everyone is a candidate. Once the fat is removed, unlike with fat freezing methods, no additional procedure is required to tighten the overlying skin. 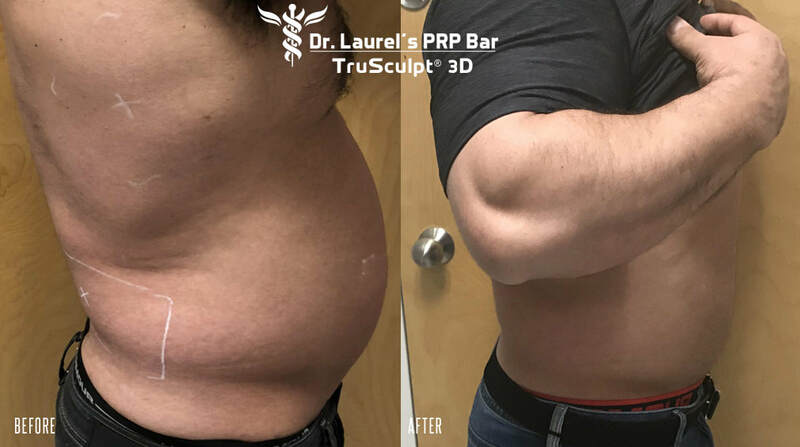 And the best part is, although she’s upgraded her TruSculpt offerings, Dr. Laurel continues to maintain her affordable pricing structure. 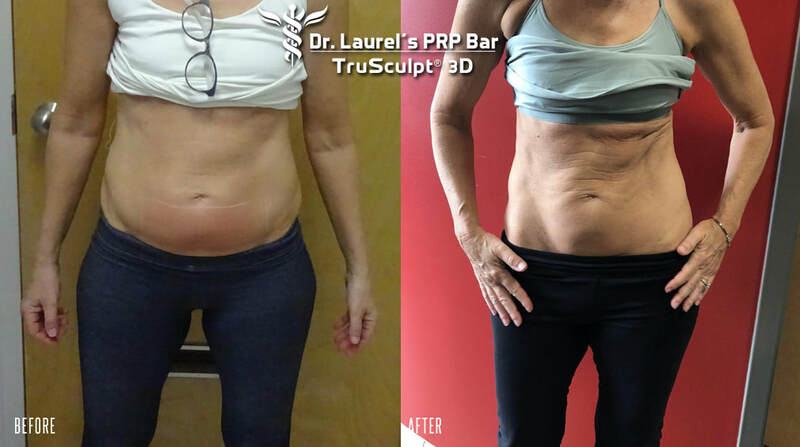 Schedule a complimentary consultation with Dr. Laurel Matthews, of Dr. Laurel’s PRP Bar, by calling 216-245-6682. The Cleveland area office is located at 3439 W. Brainard Rd., Suite 107, in Beachwood, Ohio, at the corner of Chagrin Blvd. and W. Brainard. Hours are by appointment with evenings and weekends available. Gift certificates also available. ​LOSE THE FAT­ IN 15 MINUTES! With TruSculpt, fat is heated and immediately begins to dissolve. It is then metabolized and eliminated. TruSculpt iD harnesses the power of radio frequency to melt away fat and tighten skin—in just 15 minutes. 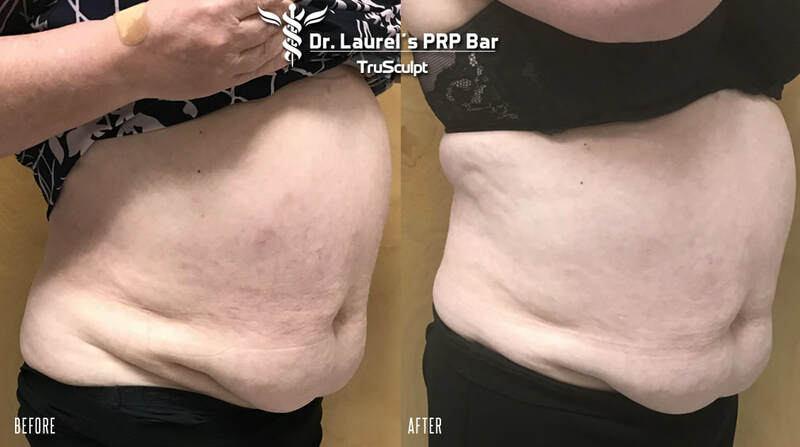 “This technology operates at a comfortable temperature and incorporates multiple handpieces, which allows me to treat all of your problem areas at once,” says Dr. Laurel Matthews, who offers TruSculpt iD at her Dr. Laurel’s PRP Bar. With TruSculpt, fat is heated and immediately begins to dissolve. It is then metabolized and eliminated. In fact, you can expect to see a 24 percent permanent reduction in fat at the treated area 12 weeks following your appointment. To provide access to even more people who want to enjoy the remarkable benefits TruSculpt iD provides, Dr. Laurel is offering a shockingly low winter special of just $250 per handpiece, until March 15, 2019. You can choose to treat any area you like, with most areas requiring four to six handpieces. Beyond six, additional discounts are available. 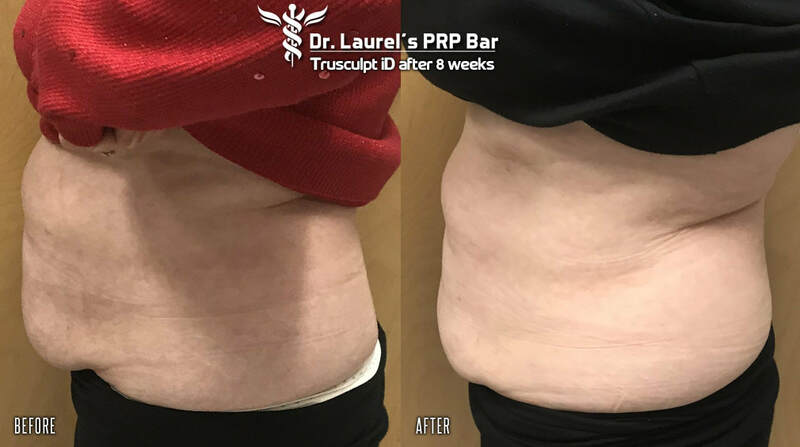 Schedule a complimentary consultation at Dr. Laurel’s PRP Bar by calling 216-245-6682. The eastside Cleveland office is located at 3439 W. Brainard Rd., Suite 107, in Beachwood, at the corner of Chagrin Blvd. and W. Brainard. Goodbye bat wings. Lose the fat­ in 15 minutes! Dr. Laurel is offering a shockingly low spring special of just $250 per handpiece, until May 15, 2019. You can choose to treat any area you like, with most areas requiring four to six handpieces. Beyond six, additional discounts are available. “Many patients want to remove fat and tighten skin on their arms before summertime. This is the perfect way to do it,” Dr. Laurel says. 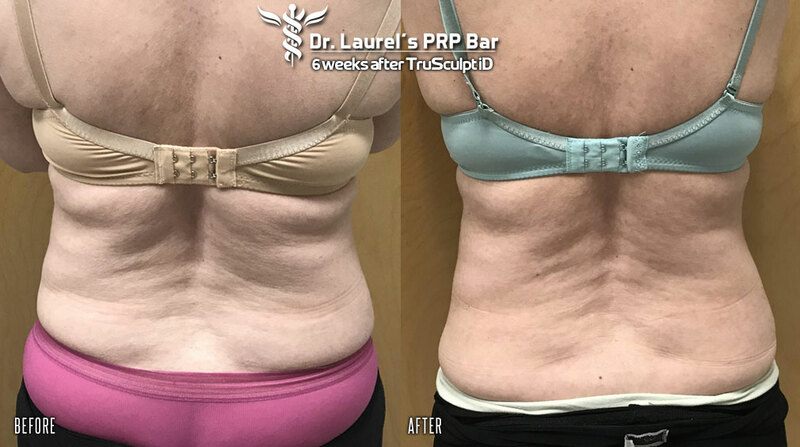 Now available at Dr. Laurel’s PRP Bar, TruSculpt iD, a revolutionary way to permanently eliminate fat and tighten skin. The reality is some stubborn fat just won’t disappear, no matter how much we diet and exercise. 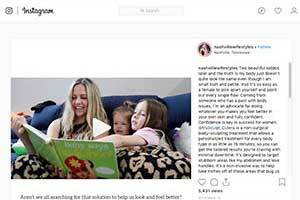 And for years we’ve been told the only way to permanently get rid of this troublesome problem is by way of liposuction, and, more recently, CoolSculpting and Kybella. But an updated technology called TruSculpt iD changes everything, and it’s available now at Dr. Laurel’s PRP Bar. “With TruSculpt iD, fat is heated and then immediately begins to dissolve with full results evident in about 12 weeks. You can expect to lose 24 percent of your fat in the treated area,” she adds. An additional benefit of TruSculpt iD is that it also tightens and smoothes skin, something neither CoolSculpting, Kybella or liposuction can promise. For dissolving fat beneath the chin, which requires two visits, TruSculpt iD is also the method of choice. 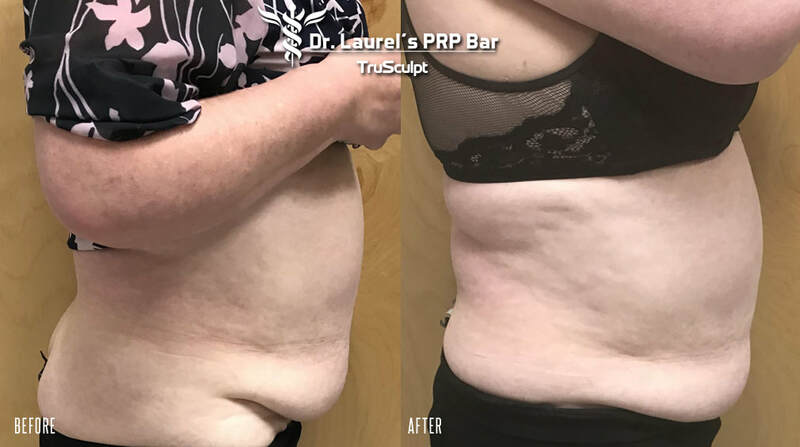 Because Dr. Laurel’s PRP Bar is kept intentionally intimate, Dr. Laurel administers all treatments herself in the comfort of her private office. 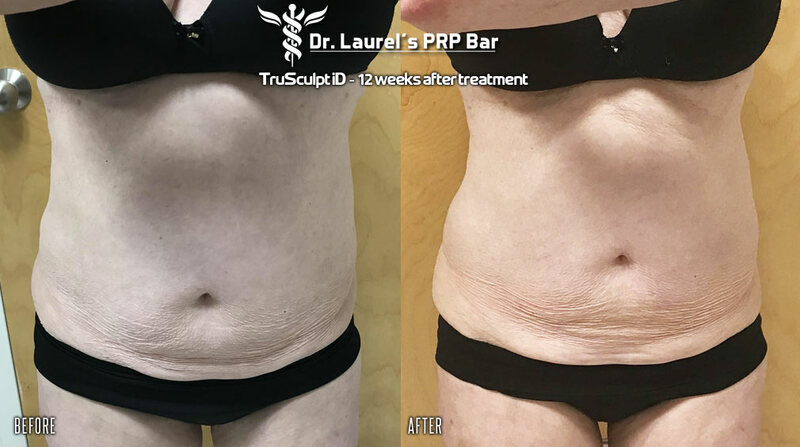 Schedule a complimentary consultation with Dr. Laurel Matthews, of Dr. Laurel’s PRP Bar, by calling 216-245-6682. The office is located at 3439 W. Brainard Rd., Suite 107, in Beachwood, OH, next to the Whole Foods Plaza on Chagrin Blvd. No surgery, no downtime, and it costs less. This is Radio Frequency. Radio Frequency (RF) is becoming one of the most talked about treatments in the aesthetics industry, and it’s a solid game changer. 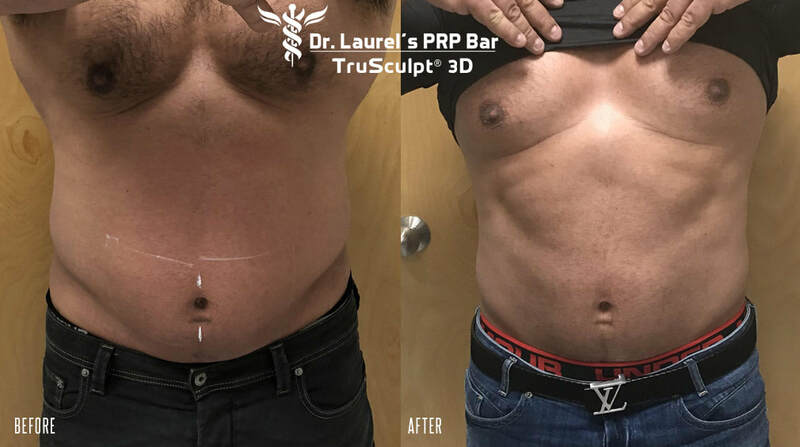 “RF eliminates the need for surgery and the associated downtime,” says Dr. Laurel Matthews, a board certified aesthetic medicine doctor and the owner of Dr. Laurel’s PRP Bar. The simple explanation is that RF tightens skin by causing thermal necrosis, or a melting of the underlying tissue, which triggers the body’s natural repair response. The result is tighter skin, more collagen and improved elasticity. At Dr. Laurel’s PRP Bar, RF is used in the Vivace Microneedling With RF and PRP and the TruSculpt 3D procedures. And because RF is color blind, it’s suitable for people of any ethnic origin and it does not burn the skin. “Vivace takes microneedling a step further by adding the benefits of PRP (platelet-rich plasma) and radiofrequency, which tightens the skin at highly precise, deeper layers of the skin,” says Dr. Laurel. TruSculpt iD also harnesses the power of RF, but at a deeper level. TruSculpt iD tightens and smoothes skin, and once fat is removed no additional procedure to tighten skin is required. TruSculpt iD is perfect for the abdomen, inner and outer thighs, back, arms, knees, under the chin and anyplace on the body you want to see a dramatic fat reduction or skin tightening. And, the procedure can be repeated at any time.